Non-stop flights from Milan to Toronto from €331 return! Cheap return flights from the UK to Cuba from £338! Cheap return flights from Spain to Quito or Guayaquil, Ecuador from €451! You will find the cheapest flights when travelin in May and June or September and October 2019. This time very limited availability thought.. Min stay over the weekend. No max stay set but limited by validity of the tariff. No free stopover available. No check-in bag in base fare. Fare class is “R“. Air Italy promo sale is running till 10th of April or until sold out..
We recommend you firstly compare the cheapest flights via Google Flights (Guide). The tool gives you almost instant result and you can easily browse throughout all the months. You can then book this deal directly with Air Italy or your preferred booking agent. If interested in this offer you can refer to our booking samples below. 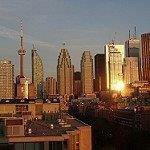 You can book your accommodation in Toronto via Hotels.com or Booking.com. Also you can further discount your hotel when using one of following promo codes. Booking sample of cheap non-stop flights from Milan to Toronto from €331 return! In this case you would depart from Italy to Canada on 17th of September. Your return flight from Toronto back to Milan would be then on 24th of September 2019.